“ag Type Specimen” is a collection of five books introducing a full-scaled typography that spans the entire design process. The volumes cover the descriptions of Ahnsangsoo 2012 Type Specimen, Ahnsangsoo Rounded Type Specimen, Leesang 2013 Type Specimen, Mano 2014 Type Specimen and Myrrh 2015 Type Specimen, all published by ag Typography Lab. The Hangul typefaces in this collection were all designed by Sang-Soo Ahn between 1985 and 1991 and have been improved by ag Typography Lab. 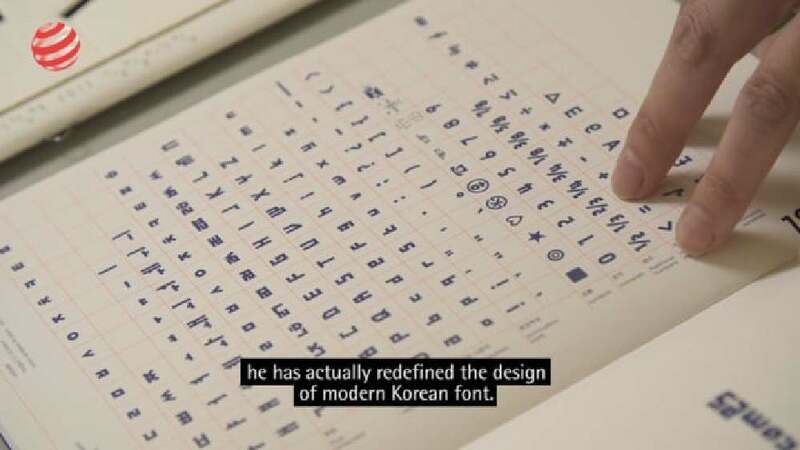 The contents not only comprise an introduction to the Korean alphabet, known as Hangul, the type families, the Roman alphabet and numerals, as well as symbols and visual adjustments, but also show examples applying the use of these typographies. The texts are written in both Korean and English. The covers are made of solid coloured cardboard with a silkscreen print of a major consonant from each typeface. Each volume presents a different design concept that emphasises the respective character of the typeface presented. The edition comes with a specially created slipcase and is limited to 100 copies. This typography design traces the history and development of Hangul, the Korean alphabet, its development from Chinese characters and the establishment of traditional Hangul up until today. Published as five high-quality volumes, each with a clear design arrangement, the work has emerged as a creative and innovative solution which not only transports the traditional system into our time, but is also a pleasure to read and leaf through.